As you probably already know we are a proud Independent company in Cambridge and we love our City. That’s why we like to have a special relationship with the University. Although the City may only be home to the students for a couple of years we hope we somehow make their stay more enjoyable. We have been working alongside Cambridge University Sports Clubs now for many years supplying them with a variety of Cars, MPVS and Vans for them to travel to their games. We have experienced the highs and lows with the teams- not only enjoying hearing about their triumphs but remembering that sometimes it’s the taking part that counts too!! 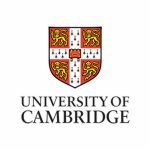 All Cambridge University Students and people that work for the University are all entitled to a 15% discounts which can be applied online or over the telephone. This discount applies to any sized vehicles or vans. As we are in a convenient central location this makes it easier for you to get to us by catching the bus or even cycling. And we always welcome any University Departments that have a business requirement. So Please contact us if you require this service and would like to see our beneficial rates.